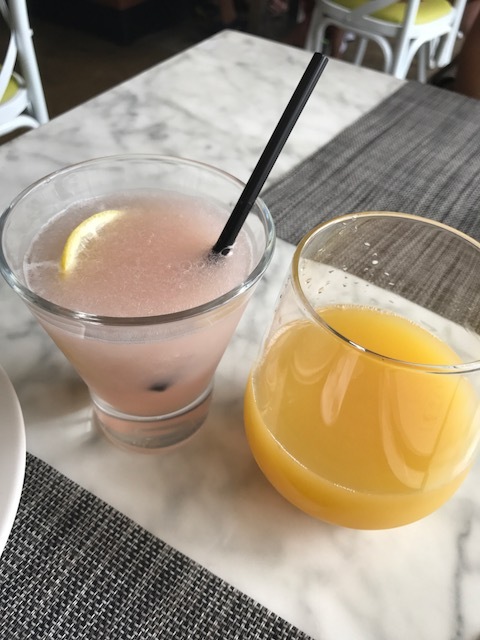 While Deep Ellum may be known to many for its live music and boozy night life, many restaurants in the area have spiced things up by adding brunch menus on the weekends. 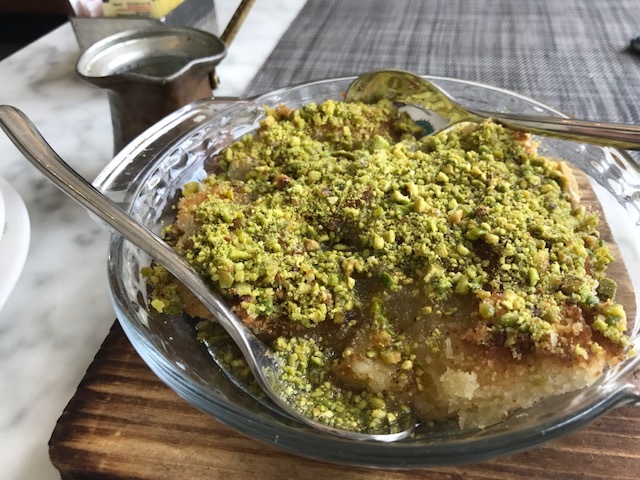 One of those restaurants is Zatar, who serves traditional and homemade Lebanese food. 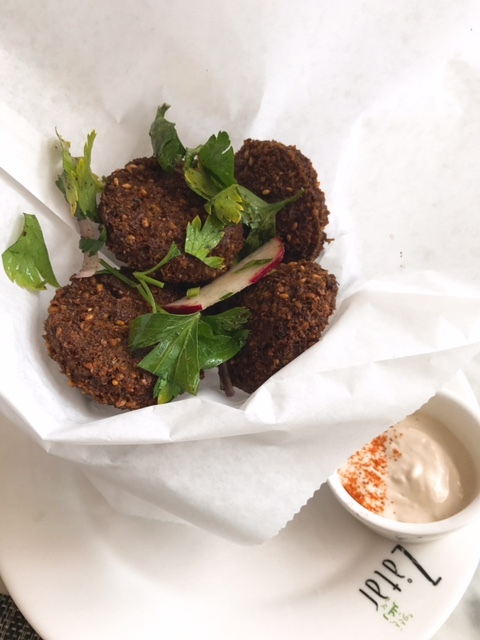 From falafels to Sumac Bloody Marys, Zatar is the place for folks who enjoy Mediterranean-related food and those who are wanting to try something new. Staple Lebanese and Mediterranean menu items, like hummus, eggplant, labneh and lamb, are definitely found on the menu. Zatar even has its own take on the traditional chicken and waffles which will lead your curiosity to excitement. For guests who prefer classic brunch entrees, items like the burger with fried egg and the breakfast tacos are suggested to try. They both have a Lebanese twist to them – making for an unforgettable meal. 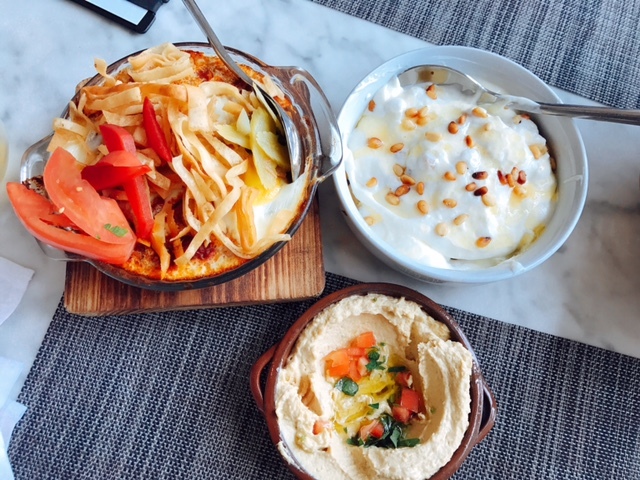 On the far left you have the Eggplant Shakshouka ($12). I grew up eating Mediterranean so, I personally enjoy cooking and eating eggplants. This creative breakfast dish comes with two eggs baked in the center of an eggplant, tomato and onion ratatouille, all topped with fried pita shoestrings. On the right it a more yogurt-based option if that’s your breakfast preference. The Fatteh ($11) comes served in a bowl with layers of fried pita chips, chickpeas and garlic yogurt, topped with buttery toasted pine nuts. If you have a sweet tooth like me, dessert is a must. We ordered the Kenefeh ($8, shown below) and shared it as a table. Think of it like a Lebanese cheesecake. Warm cheese is layered on the very bottom and is topped with semolina crust and orange blossom syrup. Fun fact: Hookahs are also available for purchase on covered patio. 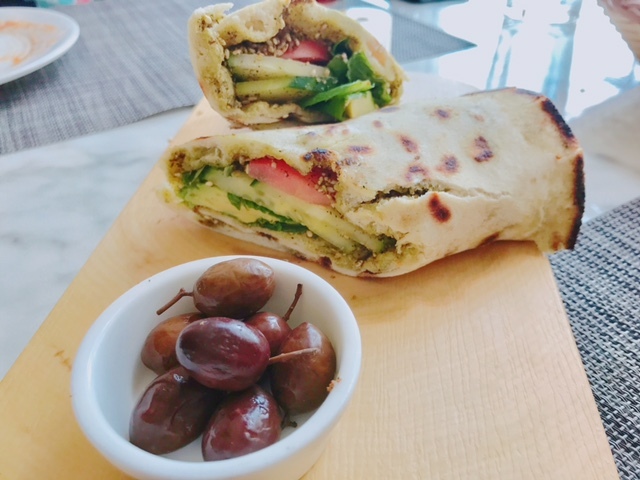 Zatar is located at 2825 commerce street, Dallas, Texas. Brunch is served only on Sundays right now from 11:30 a.m. to 3 p.m. Check out @zatardallas on social media for future restaurant updates.